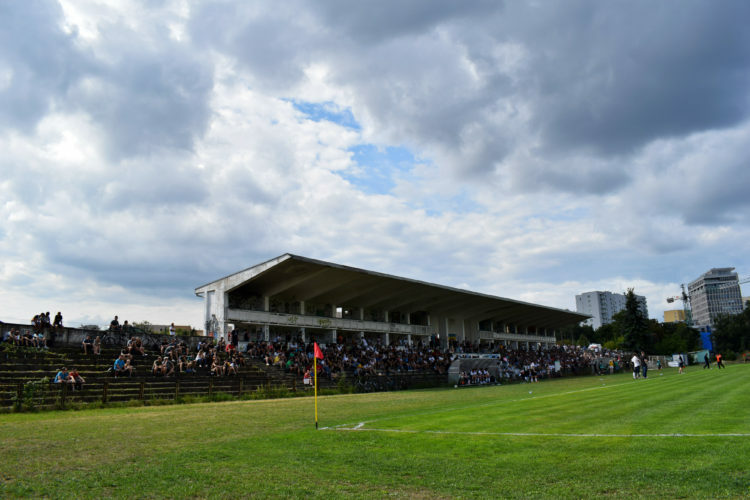 Dubbed by local fans as the Match of the Century, mid-August’s national holiday saw two of the nation’s great football teams resume their good-natured rivalry and lock horns in the first round of the Puchar Polski. Played inside Marymont’s beautifully dilapidated stadium, Kartofliska – a cult groundhopping blog – ran out 5-2 winners against Bar ETV Ulubiona, a divey city center bar popular with Polish journalists, former players, arty types and various others living on the fringes of the Bohemian world. 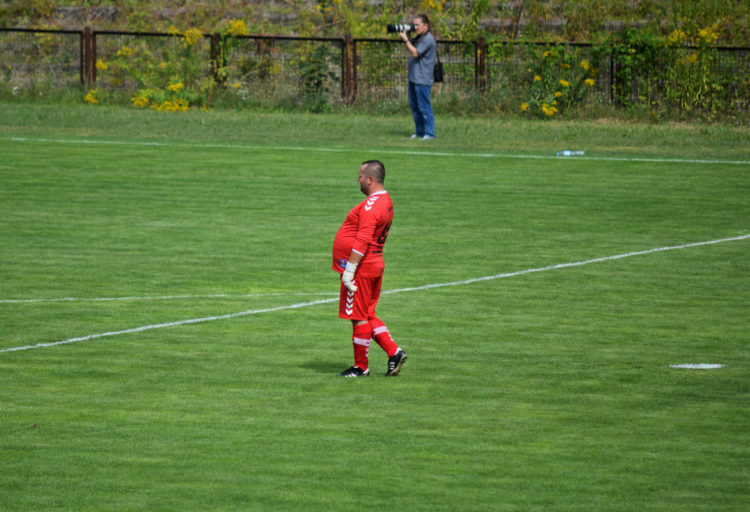 Played in front of an impassioned crowd of 600 spectators, it was a match defined by wayward shots, wild challenges, flashes of brilliance and blundering incompetence: in short, everything that grassroots football stands for. 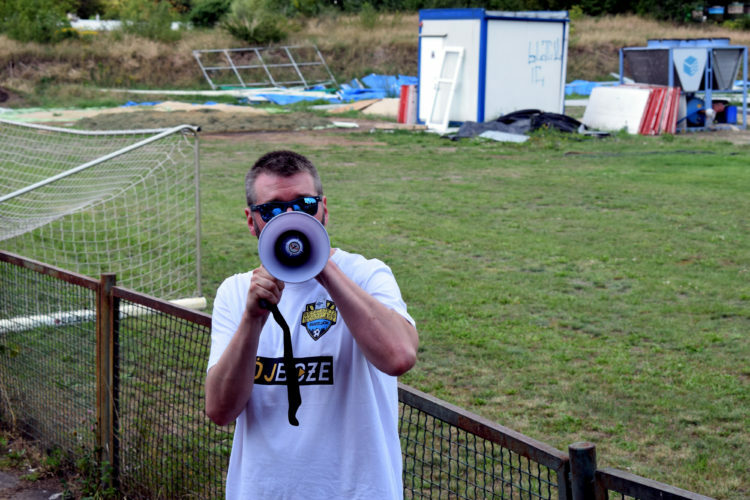 More so, it was one of those rare occasions to cast Polish football in a positive light. 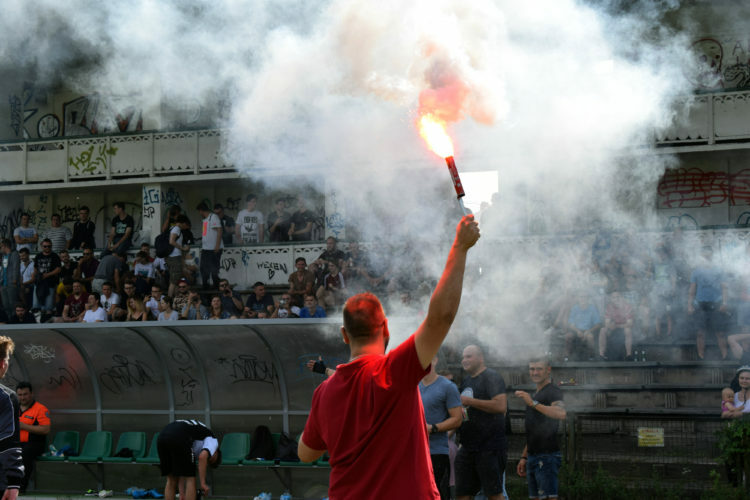 Featuring plenty of booze, banter and billowing pyro, it was a timely reminder of why Warsaw loves football. For Kartofliska, a side that stands ‘Against Modern Football’, it was also sweet revenge for last year’s penalty heartbreak against the same opponents. With both teams and fans celebrating long into the night, the seven-goal thriller stands to enter local sporting folklore. But can Kartofliska’s cup run continue? See for yourself on Wednesday when they take on second round opponents Grom Warszawa at Stadion Świt at 6 p.m.
For the full gallery, click here!